MANILA, Philippines — Ronald Oranza of Navy-Standard Insurance starts his title defense against a bevy of strong riders both local and foreign in the LBC Ronda Pilipinas 2019 that hits the road today with a 197.6-kilometer Stage One from the Iloilo City Hall to the Megaworld Festive Walk Mall. The 26-year-old Oranza, who beat Navy teammate and two-time titlist Jan Paul Morales for the crown last year, said he is optimistic of his chances and is expecting the biggest challenge to come from reigning Tour de Langkawi champion Artem Ovechkin of Terengganu Inc. TSG Cycling Team. “The race will be tough this year because there are so many strong riders competing including the Tour de Langkawi champion, but I will give it all I can and do my best to win,” said Oranza. Oranza sees a tough route this year including the first stage where riders will negotiate the mountains of San Joaquin, Iloilo. “The route is difficult especially Stage One. There are also road works and the winds are strong, which will give everyone problems,” said Oranza. Apart from Ovechkin, a slew of foreign riders from Matrix, Nex Cycling Team, Korail Team Korea, Custom Cycling Indonesia, Cambodia Cycling, PGN Road Cycling and Sri Lanka Navy Cycling Team, Oranza has high respects for his fellow Filipino riders from local teams Go for Gold, 7-Eleven Cliqq-Air21 by Roadbike Phls, Army-Bicycology, Team Franzia, Team Tarlac and Bike Xtreme. Oranza isn’t discounting the possibility of local riders forming an alliance to beat the foreigners. “For me, there is the chance the Filipinos will end up helping each other against the foreign riders,” he said. 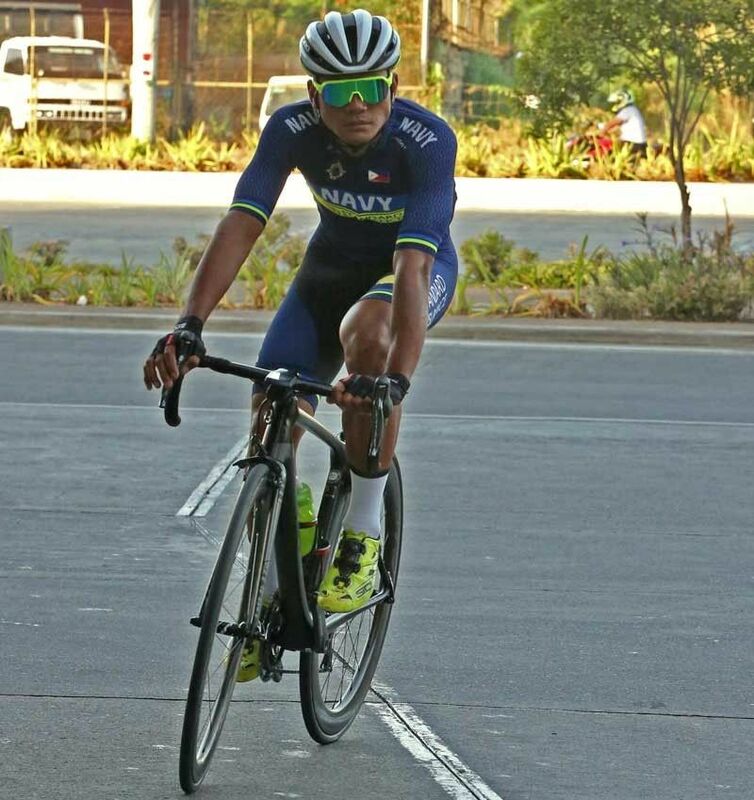 Oranza will be backstopped by Morales, 2018 Le Tour king El Joshua Carino, many-time King of the Mountain titlist Junrey Navarra, Ronald Lomotos and Rudy Roque for the Navy team eyeing to extend their reign in the team event for the sixth straight year. Local riders also expected to make a big splash are two-time Ronda champ Santy Barnachea and 2012 winner Irish Valenzuela of 7-Eleven. Apart from the total money purse worth P2.5 million including P100,000 apiece to the individual and team champions, participants will be battling for qualifying points for the 2020 Tokyo Olympics as the five-stage race has secured UCI sanction for the first time in nine editions. After the Iloilo-Iloilo Stage One, Ronda will continue with the 101.8km Stage Two that will pass through the whole of Guimaras island tomorrow before returning to Iloilo for the 179.4km Iloilo-Roxas City Stage Three on Sunday. It will wind up with the 146.9km Roxas-Roxas Stage Four on Monday and the 148.9km Roxas-Antique Stage Five on Tuesday before proceeding straight to the island paradise of Boracay the same day for the awarding ceremony.